How do I get the External VGA controller to work on my Mobile Pro 700/750? The VGA adapter is only for use with Pocket Power Point: 1. Open a PowerPoint presentation. 2. Go to the View menu and select External VGA on the View Show On drop down menu. 3. To make the presentation display automatically, under Advance Slide choose Automatic and enter in the amount of time in seconds between slides. 4. Say OK to that screen, then go to the View menu again and select View Show and now the presentation should display on the VGA monitor in 640x480 and 256 colors. Im trying to connect my laptop to my TV, laptop end is a VGA and tv is HDMI. i also have a cord that does VGA on laptop Component on TV..neither will work.. whats the problem? Hey Erin, when you mean it does not work as in there is nothing on the screen including audio? With VGA to HDMI (assuming you have the VGA to HDMI adapter) you should only get video since VGA does not support sound. As far as connecting goes its pretty much plug and play. That's also assuming that you have set it to the correct input on your tv and make sure your laptop has proper settings. Go to control panel and go to display. Make sure it recognizes dual monitor. Other than that there really should not be a problem. Look at video input on tv and display settings (OR mobile pc > windows mobility center > connect to a projector or other external display (not under classic view - Vista). I hope this helps. Give me a feedback if not. Good luck Erin. From your brief diagnoses stated, it sounds like a bad Video Cable. With just the usual opening, and closing of the laptop, the Video Cable's sheath may be damaged. This means the tiny wires inside the sheath may be damaged. Or the LCD screen assembly. Could be the graphics chipset. 1) Laptop OFF, monitor OFF, connect an external VGA monitor to the laptop's VGA connector, on the back of the laptop. You can use a CRT monitor (Looks like a small TV), or a flat LCD screen monitor if it has a VGA cable, for the external VGA monitor. Turn the external VGA monitor on. If a CRT type allow it to warm up. By default the external monitor should show the display, also. Not showing on the external VGA monitor? Perform the above procedure again. There are several display options. External VGA monitor also show the same symptoms? Bad graphics chipset. Replacing the motherboard is the most cost effective method, and easiest method. External VGA monitor does Not show these symptoms? Problem is the Video Cable, or screen Inverter, or LCD screen. Due to movement of the LCD screen, which means movement of the Video Cable, my money is on a bad Video Cable. (A Video Cable can be unplugged partially, real easy, on the back of the LCD screen. It MAY look plugged in tightly, but may not be. Have an assistant also gently wiggle the cable, as you are testing. See if there is an intermittent break, due to a stretched/broken wire. Or just buy a replacement Video Cable, and use it. THE MONITOR ON MY ONE PIECE GATEWAY PC IS BLACK BUT THERE IS POWER TO THE COMPUTER. TRIED PLUGGING IN AN EXTERNAL MONITOR BUT HOW DO I GET IT TO WORK WITH THE COMPUTER? Addressing this as a Gateway 4540GZ PC Notebook. If it is a different computer please state in a Comment. Press the Fn key, and the F4 key to toggle over to an external monitor. How can i connect the macbook pro into an lcd projector, which adapter should i use....? what are your options on the projector side? Your Mac comes with a DVI (Digital Visual Interface) port. Attach the DVI to VGA adapter to the VGA connector of the external monitor. depending on the external monitor/projector, you may need different adapters. - Use the Fn key plus F8 or F9 (I'm trying from a small picture of the keyboard!) to cycle through the external display options. No video output on IBM Intellistation PRO M, model 34G. How do I figure it out? Replaced vci card with pci vga card. To confirm if your external vga card is defective you should turn off your pc then remove it, then turn it back put your vga cable from monitor in the built in vga port in you pc. or else after turn on press numlock twice or more if its work then external vga is the problem. You can find the driver link here. Amilo Pro v2030 VGA Driver scroll down and you will find the link "VIA/S3G UniChrome Pro IGP". you must register first to download the driver. Just use free Membership in signing in and just skip or select no thanks in other membership offer.. If your laptop doesn't automatically detect the external monitor, there will be a function key you need to press to activate the external monitor connector. It's often on the top row of keys, but different manufacturers put their function keys wherever they like. The key will normally have a marking that looks like a little monitor screen. Connect your external monitor, hold down the F or Fn key and press the monitor key when you find it. Usually the first press will turn on the external monitor and turn off the laptop screen, then the second press turns the laptop screen back on. Some brands or models may not turn off the laptop display, though. 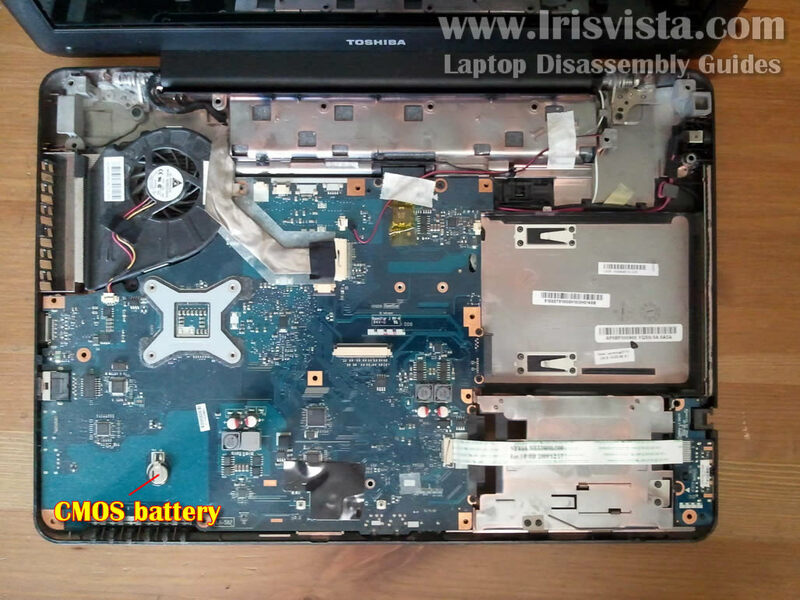 Any of the following repairs will require disassembling of your laptop. Have a manual for NEC MobilePro 750?